Moz has released the 2018 local search ranking factors last month & it reveals a lot about the upcoming big changes in the SEO world. If you are looking for accurate predictions, or just want to stay updated about the current trends, we recommend reading the full report. 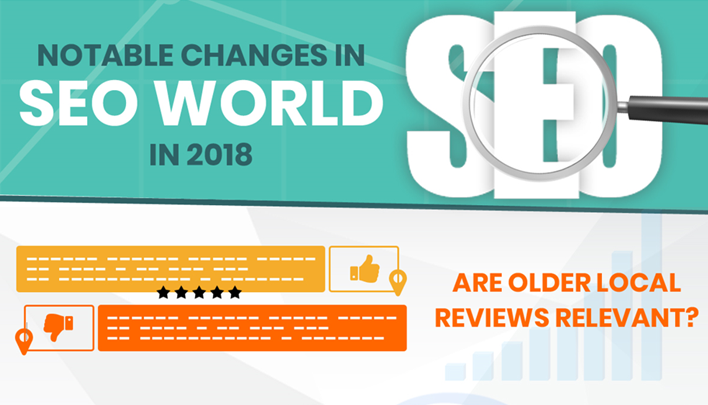 2018 was a good year for Local SEO since we witnessed a major boost in the rankings of the local players instead of the corporates. This just solidifies the facts that no matter your size, if your site has what it takes, then there’s no denying that you can even beat the mega corporations. Keep in mind that this survey was conducted among the SEO professionals. They were asked to rank the main ranking factors. Here are some of the key findings. Local SEO has changed drastically over the past 3 years and if you are sticking to old SEO practices, it will do more harm than good. Also, if you want your site to rank high, you will have to prefer quality-over-quantity. Be it content, backlinks, reviews or citations. It has been observed by many SEO professionals that you can manipulate the content on the knowledge graph. It mostly works for hijacking brand queries or getting clicks that you will not get normally. Also if your site is not receiving the kind of traffic that you were expecting that maybe you have to send signals to Google. What it means is that if Google gets the “hey this business is alive signal”, it might boost your rank a little. You can then use this to show a detailed report of your SEO efforts. But you will have to figure out which thing to prioritize. Because there’s a lot of things going on and there’s a good chance that your client will not understand the technical things. So you may have to break it down in simpler terms. An easy way to check for what Google thinks is important with internal links is to do a site search on Google, type in one of your keywords & see what comes up first. This will help you determine what Google thinks is most relevant for your keyword. And if the result is not what you expected, fix it and do a search with the same keyword again. If your business is new, you have to ensure that you have covered all these basics. If your business is around for a while, it is going to take a lot more efforts. You can start by checking the source of the traffic, if you are paying for it, then is it converting? Are your blogs up to date. Are you regularly uploading high quality content? These are only a few of the questions that you should ask yourself about your website. Be informed that GMB categories are a major ranking factor. Therefore it is often manipulated BUT GMB related spam can be reported on Google Maps or escalated to Google via their various support channels. So if you see anyone misusing it, you should report it. The conclusion of the survey is hard to sum up but if you will pay attention to the details, you will be able to crack the secret ingredient to a successful local SEO strategy. Although, you will have to do a lot of research to revise your current plans without hurting the existing campaigns.